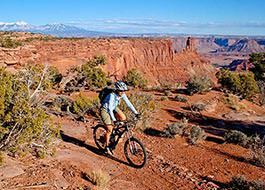 Moab, Utah has become the undisputed "Mecca" for mountain bike enthusiasts by virtue of its beautiful red rock terrain, views that go on forever and trails that range from beginner to advanced and suit all riding abilities. 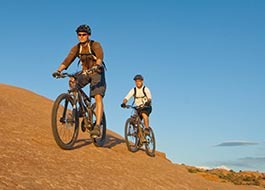 The Moab Adventure Center offers professionally guided Moab mountain biking tours on all of Moab's classic rides. 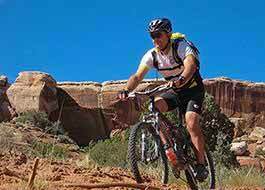 If you're new to mountain biking or mountain biking in the Moab area, we recommend the Courthouse Loop ride. 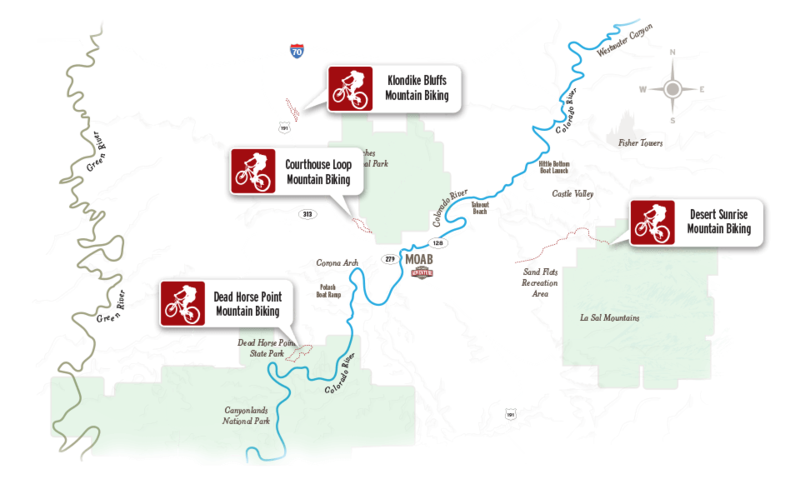 For a more intermediate experience, check out the Klondike Bluffs or Deadhorse Point Intrepid Trail rides. Great introductory ride overlooking the Windows section of Arches National Park. Perfect for families with younger children or novices. Dead Horse Point State Park singletrack trail, formerly known as the Intrepid Trail is accessed from the main parking lot. The main loop spans 9 miles and offers several spectacular views along the way. 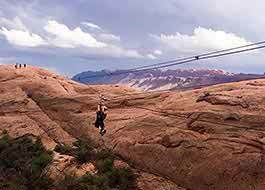 Moderate climbs, varied terrain and exciting downhill lead you to views of prehistoric dinosaur tracks and an astounding overlook or Arches National Park. 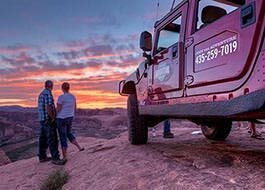 While the National Parks were still relatively empty, and the mining boom was all but forgotten by the early 1980’s, a new and unexpected renaissance was about to hit the hills of Moab.  An entirely new sport called “mountain biking” marked the beginning of a Moab’s modern reputation as the “Adventure Capital of the West”. 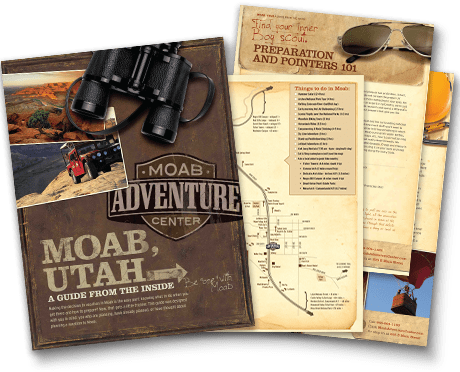 Mountain biking was pioneered in Marin County and Crested Butte, but Moab, Utah was the place where mountain biking sparked public imagination. It was a clever ploy by Hank Barlow to launch the first issue of “Mountain Bike Magazine” with photography of people riding the new pedaled contraptions on the rolling slickrock hills with red rock cliffs and blue skies blazing in the background - a cue taken from film director John Ford perhaps? It worked; and the rest is mountain biking history.